Hispanic Heritage Month: National Hispanic Heritage Month was enacted into law on August 17, 1988 observing September 15 to October 15 as a period to celebrate the histories, cultures, and contributions of those who can trace their ancestry to Mexico, Spain, Central America, South America and the Caribbean. 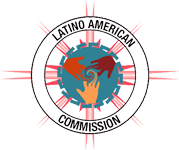 For the essay, the Hispanic Heritage Month Committee is asking students to write about opportunities created by Hispanic/Latinos in Nebraska. THEME: Historically immigrants have come to America seeking shelter from persecution, and better opportunities, while creating better opportunities for all citizens. How do you see yourself creating opportunities for your community? GUIDELINES:When writing your essay, think about the future. “How would you make Nebraska a better, stronger, and more prosperous place? What kind of heritage would you like to leave behind?Your essay will be judged by grammar, content, creativity, and understanding of the theme. RULES: Essay content must be original, typed or legibly handwritten, and double-spaced. The word length is 500 – 700 words. We reserve the right to disqualify essays that contain offensive language, political messages, or derogatory statements. AWARDS: Cash prizes will be given to three winners of both 11 and 12 grade. Winning students will be recognized at the Hispanic Heritage Month State Commemoration scheduled for October 12, 2018 at the Nebraska State Capitol Building in Lincoln. First place winners will be asked to read their essay at the Commemoration. The Commission reserves the right to edit essays. The scholarship awards are: $250 for first place, $150 for second place and $100 for third place.